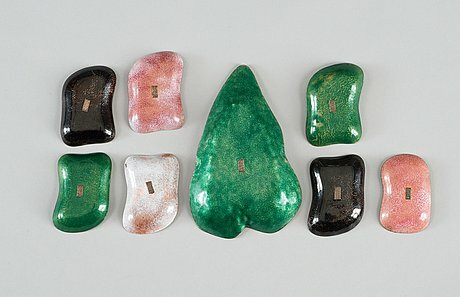 A set of eight Paolo de Poli enamelled copper dishes, Italy 1950's-60's. Stamped P DE POLI MADE IN ITALY. Measurements 17,5 x 11,5 cm, 8,2 x 5,8 cm and 8 x 5 cm.